Increase your profit by 40% just be changing your slogan. Sounds suspicious but it is possible. You’ll just need tons of good ideas, some time and testing. 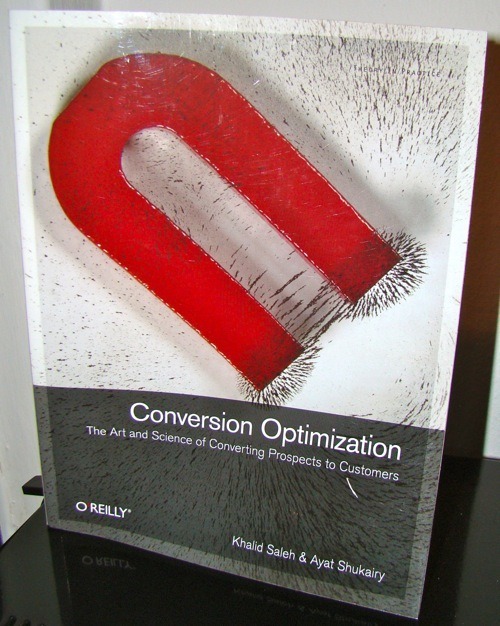 Saleh & Shukairy talk about conversion optimization and how you can increase your profit over time. Personas: I talked about personas some time ago but this book used them really in detail, which was refreshing. The idea is that you define imaginative customers and think about them if you do any decisions in marketing/sales. This will help you especially if you got different types of customers. However, it is important that you do your market research first. Lots of people fall into the trap that they just make up personas without knowing their prospects/customers. FUDs: Fear, uncertainty and doubt. This is why people won’t buy from you even when you got a product they would buy. You can use your personas here, again. Think about their fears, uncertainties and doubts when browsing your website, e.g. “is my data secure?”, “what happens if I want to return the product?” or “does this work on my computer?”. You probably can’t convince people that they should buy your product if they don’t like it. But you can help people buy your product if they are afflicted by FUDs. Iterative testing: I talked about testing some weeks ago in detail, so I won’t say that much about its basics. After initial testing, you shouldn’t just assume that now everything is perfect. The idea behind iterative testing is that you design your product and presentation and slowly change it element by element. This will improve your presentation and product step by step. Amazon does a great job doing this. They won’t relaunch every few years with a completely new design. Rather they change just some elements a time. I don’t like this book as much as Always Be Testing, mainly because most content is in both books. Conversion Optimization doesn’t really bring new concepts in the game which aren’t already known. The book is OK. If you haven’t read anything about testing or conversion optimization, I would recommend Always Be Testing.